When Turner was just a baby, Josh and I went without internet for a while. Money was tight, and they had it free at the public library. It didn't seem like that big of a sacrifice at the time. One of my friends managed some storage units, and asked me to fill in for a few days. I had access to the internet. It got boring after checking my email for a few times though--until I got an email from a friend that announced that she would be keeping a blog. See the way people communicated 5-6 years ago is that they would send out mass emails to friends and family keeping people updated on their lives or people sent personal emails. It was an amazing thing! Anyway, back to the story. I clicked on my friends blog and a whole new world opened up to me! Not only because this friend had a great blog about her family, she had links to other friends blogs. Friends that I had lost contact with. I clicked on those links and found out about marriages, families, babies, and places. I think I cried, I was so happy to have found some old friends! I spent those next few days pouring over blog after blog after blog. Not too long after that I decided to start a blog. By then, Josh had a laptop from work that he would bring home at night, and I would blog and read blogs. I loved it! Eventually we got internet for the home and I could blog all day if I wanted to. I spent a lot of naptime blogging. I felt connected to other moms and It was my huge social outlet. My aunts read my blog and encouraged me to keep going. I loved going to my Grandma's house and they already knew what was going on in my life. I remember at this time they encouraged me to get on this new thing called Facebook. I had gotten a couple of email requests, so I had an account, but I just didn't get it! You log on and just see everyone's one liners about their life. It seemed pretty empty to me. After getting more and more email requests, and a message from someone about needing to add a picture so people knew it was me, I gave Facebook an afternoon of my time. Facebook was even more amazing than blogs! I didn't have to know someones blog address to reconnect, I only had to know their name. It was magical! I reconnected with people from all the parts of my life--Prescott, college, mission, the single-working years . . . it was so amazing! Soon blogging wasn't as important to me, or most other people. It seemed as if Facebook had taken over blogging. Especially those who blogged mostly just to keep in contact with other people. The sad thing that happened is that life went from stories, to one liners. Then Facebook made changes after changes after changes. It started deciding whom you would hear from and whom you wouldn't. It started deciding what order you would read things in. It really became a mess. By then, people had become reliant on Facebook. I was now connected with so many people--only through Facebook that I felt (and still do) very dependent on the website. Then Facebook took away my voice. Somehow, around the middle of April, Facebook decided that no one would hear my one liners. My posts don't show up in people's news feeds. I can yell and scream and say nasty things--no one will "hear" me. I can still post pictures on other peoples boards, I can send personal messages, and I can still read other people's status updates. As long as Facebook hasn't silenced THEM. It makes me so frustrated that I can see what my friend's comment on and like--of their friends posts, but my own actual friends can't see my status updates. Facebook is a mess!! So in a debate in blogging vs. facebook--blogging wins. I will still keep my Facebook account, and probably check it often because I still care about so many people that only show up in my life via Facebook. Mission reunions, play dates, girls night outs are usually only arranged via Facebook anyway. But I value story over one liners. I value deeper connections to people over status updates of 300 people. I know there are people out there that don't have time to read my blog yet, for those who care--keep coming back. This is where my voice can be heard. I don't know how they did it--or why it happened. Maybe if I figured that out I could try to fix it. I would like to post my blog posts at least. Oh well! I totally feel invisible. Is is sad that a website can hurt my feelings ;) Glad I am not the only one! I'm glad you'll be keeping up your blog. I like it better!! I love reading what you've been up to, how your kids are, seeing pictures of them. And you write so well that it's fun to read! I had no idea about that either...I am one of those slightly paranoiders that feels slightly ignored no matter what...or a lot ignored, guess I have just gotten used to it...well not really. My vters were actually mentioning this very thing and that is completely crazy. Wow. Sad. It was so great to see you. 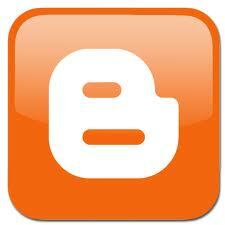 Hooray for blogs! I'm not a huge fan of FB. It's kind of become a great address book for me (helps me get in touch w/people) and that's about it.